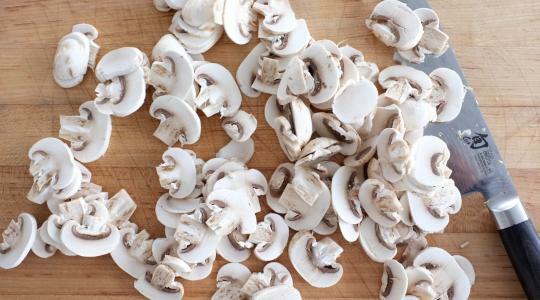 Wipe the mushrooms clean with a damp paper towel and trim the stems. 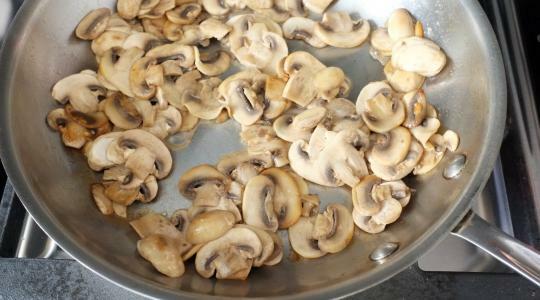 Then slice the mushrooms. 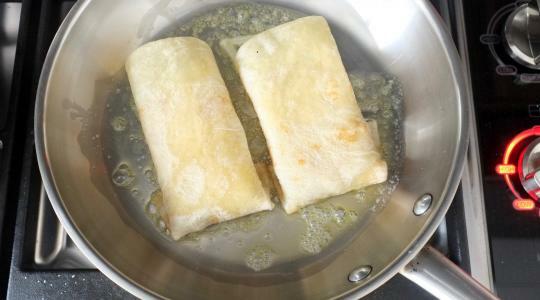 In a medium skillet, melt 1 tablespoon of the butter over medium-high heat. 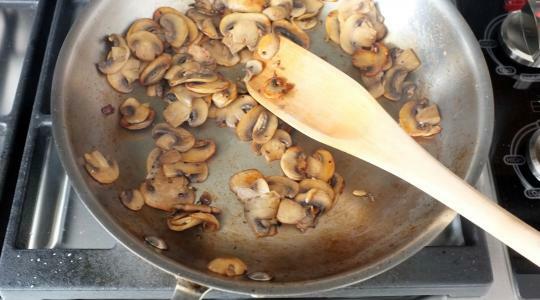 Stir in the mushrooms then let them cook, without stirring, for 1 minute. Now toss them occasionally as they cook. Once all of the water has cooked out of them, after about 4 minutes, add the wine. Cook, stirring often, until the wine cooks away. Season with the salt and pepper. 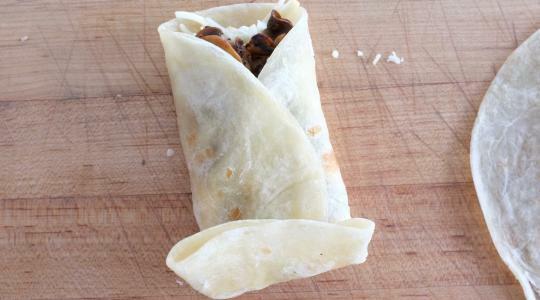 Place the tortillas flat on your work surface. 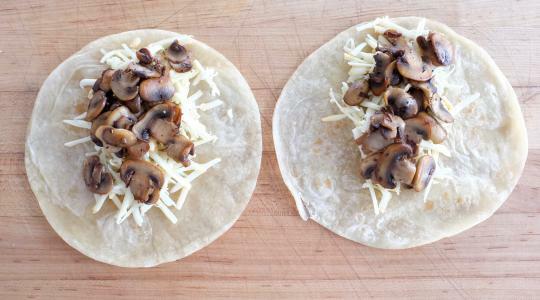 Dividing evenly, fill the middle of each tortilla with the cheese and mushrooms, leaving a 2-inch border at the bottom. In a medium skillet, melt ½ tablespoon of the butter over medium heat. 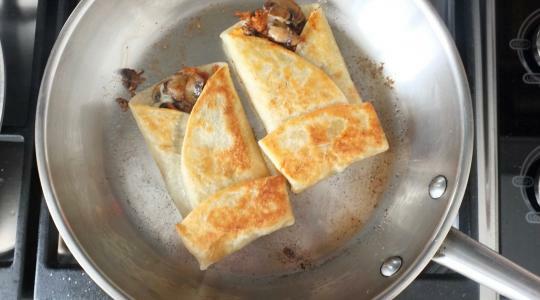 Working with 2 of the tortillas, fold over the sides to cover the mushroom mixture, then fold up the bottom and, holding in place, lay each one, folded side down, in the skillet. 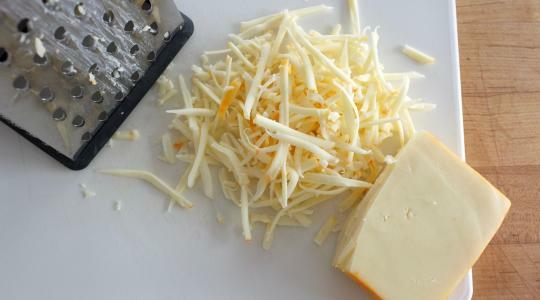 Cook for about 2 minutes per side, or until golden brown and the cheese has melted. 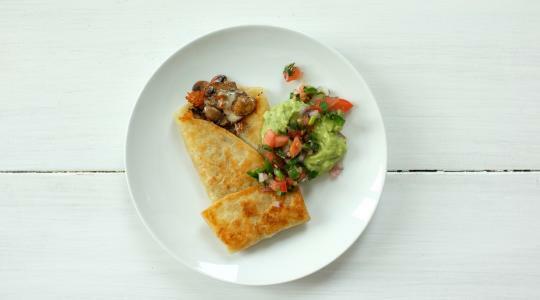 Repeat with the remaining ½ tablespoon of butter and the filled tortillas.